Here's how the best food trucks do business. On America's best food truck scheduling platform. Promotion should be fun, not repetitive. 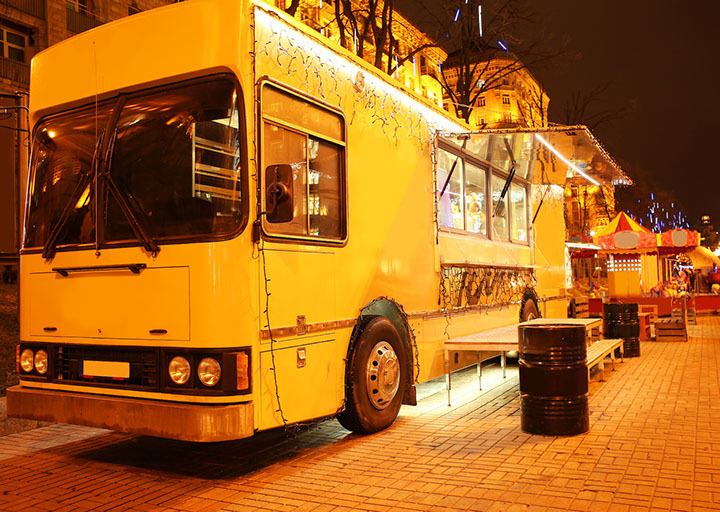 Upload once and everything about your food truck will be presented to thousands of hungry patrons through a beautiful gallery and promotional flyers. Add your full menu and the most popular items, even add links to your social media pages and grow your fan following. Location location location. You are in complete control. The intuitive dashboard allows you to stay in control of when and where your food truck will be. 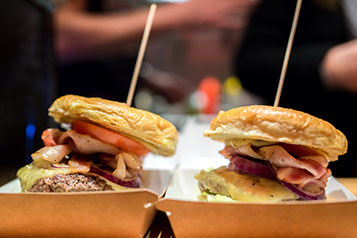 Pick from a smörgåsbord of spaces looking for trucks that serve cuisines just like yours. Use the full list of filtering options, or sort by spaces with the highest reported sales. No guessing, no hustle. Foodies can now find you. 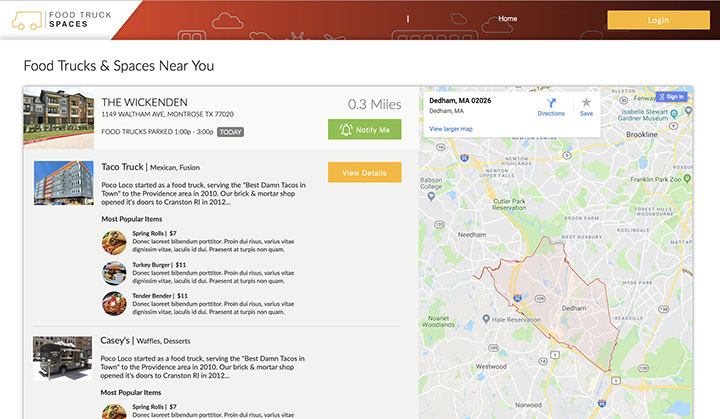 Food Truck Spaces uses advanced geolocation to show your truck to hungry customers at locations you’re attending. 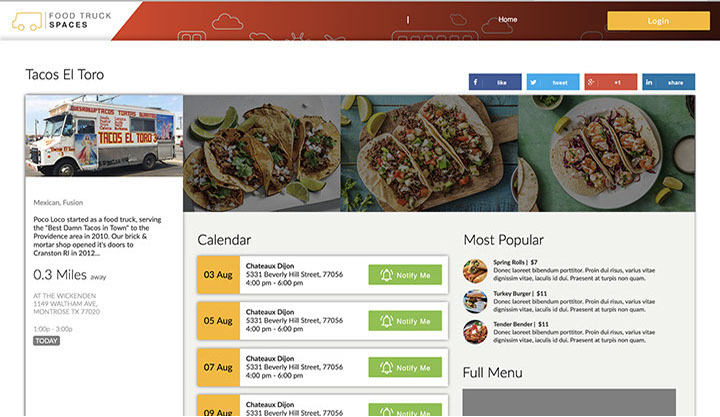 With the all new “Notify Me” feature, customers get alerted when their favorite food trucks are at their property. No need to go through onsite management to promote directly to your customers. Take notice brick and mortars, the food truck community is growing. The Food Truck Spaces community is growing every day and we celebrate success stories right here on the platform so that everybody gets a shot at making the dream come true. Learn from some of our most successful food trucks and share your experiences with the community. Learn and grow together. Manage one or manage a fleet. 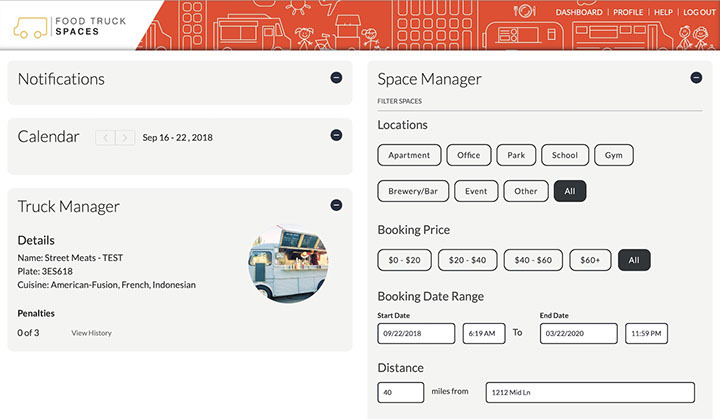 Whether you’re starting out with your first food truck or are a multi truck veteran, Food Truck Spaces gives you complete flexibility over how and where you manage your most valuable assets. Need help? Your local coordinators will be with you every step of the way. Love to get technical? 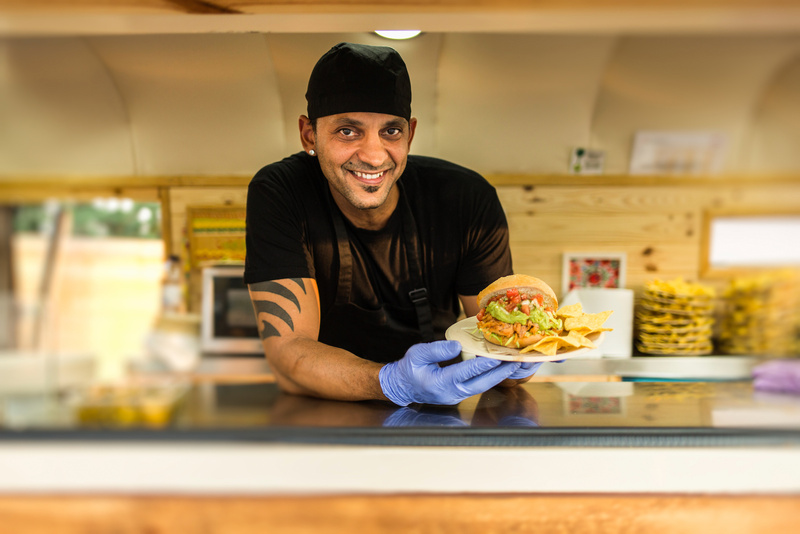 Read our user guide to see how the most powerful food truck platform in America can help you grow your food truck business. Don't miss out on large events. Crowds are waiting for you.